Environmental Justice Advocacy (EJA) was created to address many environmental issues all over the City and County of San Francisco. From time to time we have stated very clearly that is WRONG for those who can help children and infants, especially put infants in harms way. The Southeast Sector of the City and County of San Francisco has been saturated with toxins. Thousands of diesel vehicles pollute the air. Among them MUNI buses. The two power plants continue to spew toxins into the air. Lead paint is found everywhere especially at Hunters Point Housing Units that once were controlled by the U.S. Navy. The Hunters Point Naval Shipyard has many hot spots. Many of the hot spots contain radioactive material. Asbestos abounds everywhere. The HP Naval Shipyard has been put of the Superfund List. Only the worst polluted sites make this list. It is a shame that since 1974 when the Shipyard was closed nothing much has been done regarding the clean up. Today, the Navy is trying to do something but does not have the funds to do a complete and through cleanup. Millions of taxpayers money was wasted by companies like International Technology (IT) at the HP Shipyard. In the past there has been no Accountability and absolutely no Transparency. The City and County of San Francisco thinks it can take control of a mess when it has serious problems of its own to deal with. Next fiscal year we will be facing a $300 million deficit. The lame duck Mayor Willie will leave and he does not care if we suffer he has filled his political coffers. 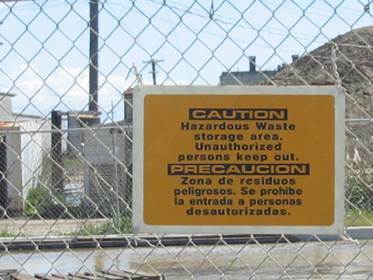 Thousands of children have been exposed to toxins from the Hunters Point Naval Shipyard. Most of the toxins are airborne. The City and County of San Francisco talk the talk but do not walk the walk. It is high time the City Department of Health conduct daily and weekly air, soil, and water tests to get a better idea of what is happening around the Hunters Point Naval Shipyard and the Bayview. It is paramount that these tests be carried all over Hunters Point and Bayview to find out why so many infants are dying from respiratory diseases. A lot of the children are hyper and suffer from attention deficiency. Adults as well as children suffer from asthma and cancer. The City and County of San Francisco knows about these ailments but is doing nothing much to elevate the plight of those who have decided to make Hunters Point their home. The City knows that the HP Naval Shipyard is polluted yet it has granted permits to people to work in an area that no one should be working. Some artists were given a warehouse to work a couple of them are now suffering from cancer. 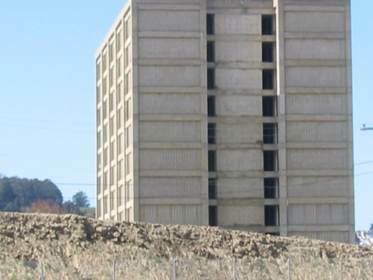 The City of San Francisco has been encouraging corrupt entities like Lennar Corporation to do business and build houses at the HP Naval Shipyard. Lennar has bad track record in Florida and is known not to follow environmental laws and regulations all over the Nation. Along 3rd Street thousands of vehicles ply spewing diesel into the air. The air is so bad and the City and County of San Francisco refuses to conduct air, water, and soil tests to address the pollutants and bring some solution to the grave situation. MUNI buses spew diesel and so do the thousands of diesel vehicles plying along 3rd Street. The City and County San Francisco, our flamboyant Mayor, and the Board of Supervisors are callously insensitive to the concerns of the constituents. It is wrong when infants die. It is wrong when 8 out of 10 children suffer from asthma in some areas of Hunters Point and Bayview. It is wrong when adults are dying from cancer in clusters that point to toxins in the surrounding area. The State of California has resources to address the concerns of the constituents. The City and County of San Francisco have done NOTHING to ask for help. Political activists and environmental organizations have brought the community concerns to the City authority. Again and again the concerns of the PUBLIC and the constituents who are suffering and have been suffering for years have been ignored. Infants and children should NOT die. The fact is they DO. WE can do something to save their lives. We can reduce the pollution and the toxins and save lives. Radioactive building at HP Shipyard.